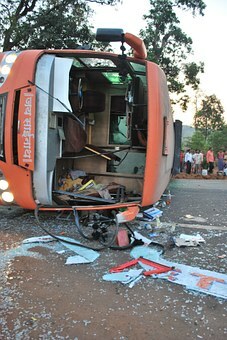 Bus accidents can cause serious injuries to victims. These vehicles are larger than the average car, and their size makes them more likely to cause severe damage. We urge all drivers to take special care to remain vigilant when driving by large vehicles like buses. Bus drivers must always remain vigilant and remember to check blind spots. We at the Law Offices of Jeffrey S. Glassman know how severe bus accidents can be and how they can negatively impact victim’s lives. As concerned members of our community, we urge all drivers to remain aware of their surroundings and drive attentively. However, we know that accidents can happen to even the safest drivers, so we are also here to help victims receive the help they need to recover.